If you're just now coming back from hibernation, welcome back! Even though I was officially back at work last week, I am feeling more like this week is the true start of the new year. Last week was just practice! It's nice to get back to a normal routine, though if I'm being real, I certainly wouldn't mind laying around in my sweats all day and still having my current salary to fund my lazy habits. Ha! In last Wednesday's post here, I talked about how we flew to Chicago for lunch and that we made a quick pitstop into Zara for some shopping. This dress was one of the two things that came home with me. it was on the clearance rack for under $25 (and subsequently showing on their website for $20 as I'm writing this post.) I mentioned on Snapchat that this dress was 3 parts 90s and 1 part Little House on the Prairie. I'm honestly not huge on bringing back the 90s, but for some reason, this dress called my name! I loved the teeny floral print, the long sleeves, the ruffles, really it's all good. I'm wearing an XS for reference. I didn't want to tuck it away until spring, so I paired it with my fleece tights, some booties, and threw on my favorite anorak jacket. This jacket hits me a little longer in length than my other military jackets which helps from a proportion standpoint with the dress as well as with warmth. I could have added my oatmeal-colored Modcloth cardigan in between the dress and the jacket for another layer, but I knew we weren't going to be outside too long, so I didn't worry about bundling up too much. I never tire of this bag. It takes my breath away every time and is nice and roomy for my daily essentials and then some! It definitely finished off this laid-back boho vibe of the outfit very nicely! Even though the bell sleeves, ruffles, and the drop waist make this dress more relaxed and voluminous, I like that it doesn't fit me like a tent and I don't look pregnant from the side view. Not that there is anything wrong with you looking pregnant. That's assuming you are actually pregnant, and I am not, so. Hope you all survive the full 5-day work week! And for those of you that have a long weekend again thanks to the up and coming MLK holiday, I AM SO JEALOUS! I'll just sit over here and count down until Memorial Day. Le sigh. Don't forget to link up! 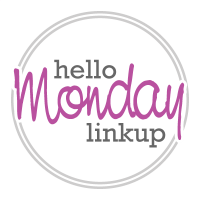 We've missed interacting with you linker uppers! This is so my kind of dress, want it!!! 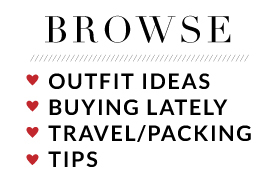 Love how you styled it for now. And that bag is my dream. So lovely! 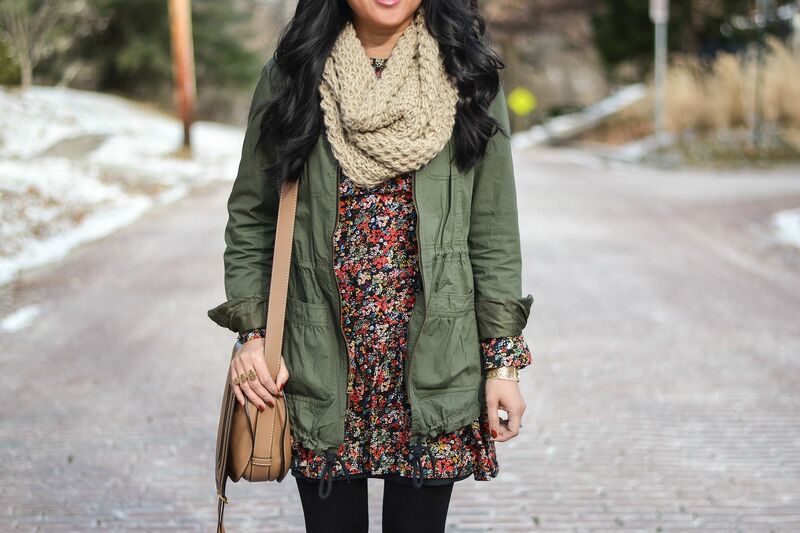 I love this dress with the utility jacket! And of course that bag is amazing! 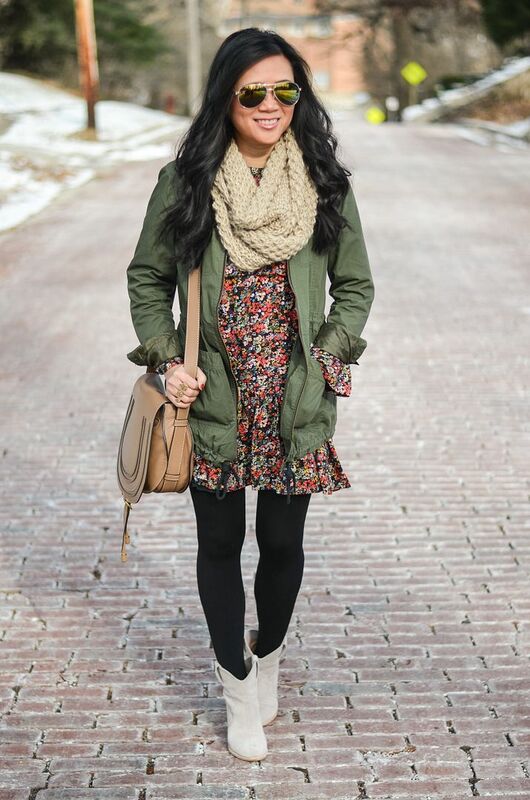 I love how you made this dress work perfectly for the cold weather!! Happy New Year! 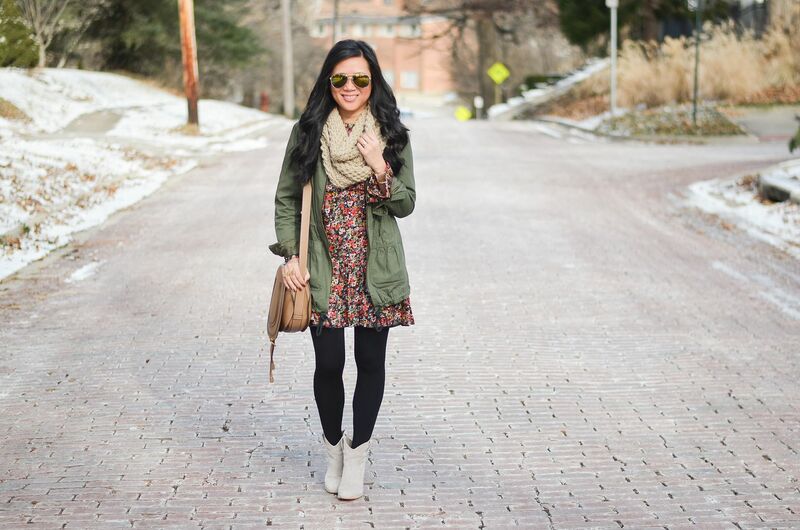 Love this floral dress & the how you styled it! Carylee, this dress is so perfect! There are some 90's trends that I am happy are back in style....like these mini florals on dark backgrounds! I am in love with this dress. You know I love Zara and that little dress is so cute. Love this boho look. 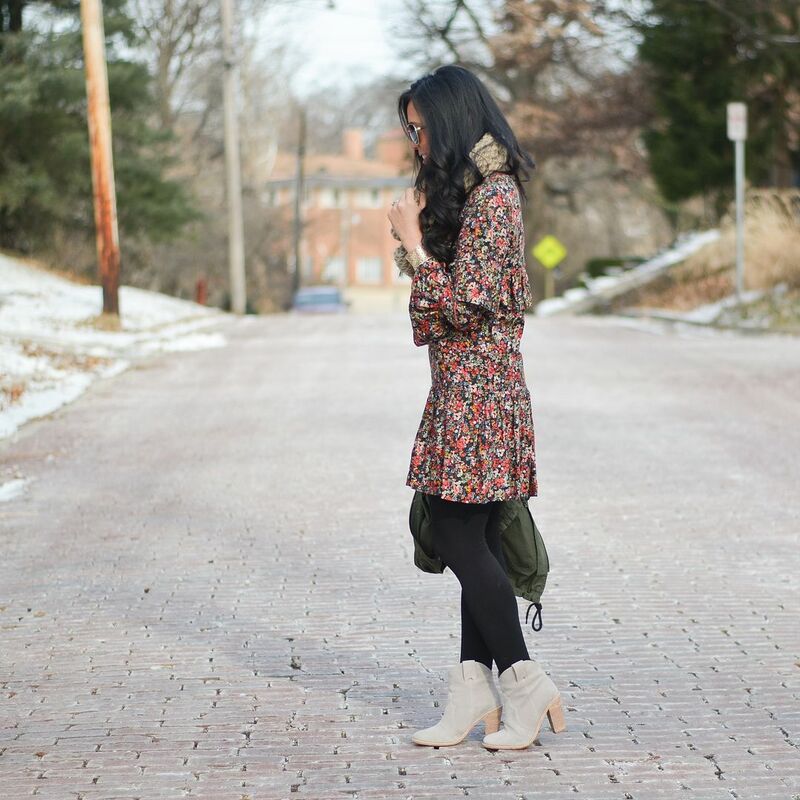 Love seeing you in this floral dress! I adore the sleeves. 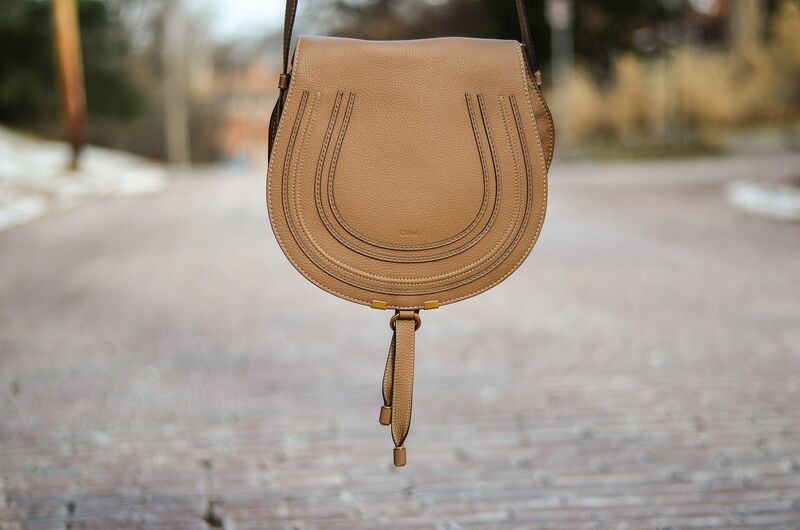 Such a great find from Zara! Thanks so much for the link up Carylee! I can definitely see why you were drawn to this dress! It's darling! Whenever we are around a Zara I make sure to stop by too. They have so many cute items ! That's a gorgeous dress, I can see why you had to have it :) Really nice with the olive jacket too. Hope you are having a great start to the week and 2017! Sorry to be redundant to what I said on Insta, but I really do love the way you layered this dress. I also wouldn't have though to pair it with those boots but I love the way that turned out too! Such a cute look! Love your dress and bag. Such an adorable look. I love this dress with tights. Nice outfit. I love floral dresses ! Love, love, LOVE this look!! You look awesome. I love how you paired all of these pieces together. Well styled! I feel exactly the same - the first week of January is just the warm up! Very pretty dress - I can never resist the Zara sale! 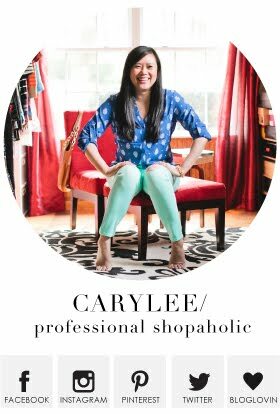 I love the way you styled this dress, Caryl!